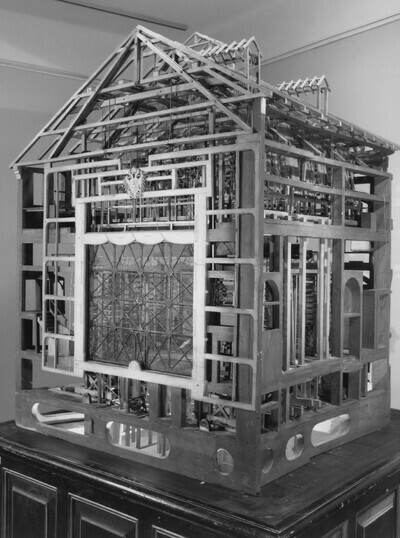 The collection stage design and architecture models ranging from the 18th to the 20th centuries numbers nearly 1,000 items. The basis of the collection is formed by 400 models having to do with performances at the Hofburg Theatre between 188 and 1910—a period during which new aesthetic programmes and technical achievements such as electric stage lighting made necessary the re-conception of the stage area. The further highlights include the original models from the 18th century by Lorenzo Sacchetti, models from Russian revolutionary art and works by Austrian stage reformer Alfred Roller. 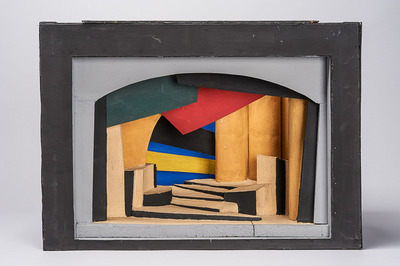 Last but not least, the collection documents theatre-related works by artists of the 20th century such as Remigius Geyling, Oskar Strnad, Clemens Holzmeister, Friedrich Kiesler, Fritz Wotruba, Lois Egg and Wieland Wagner. 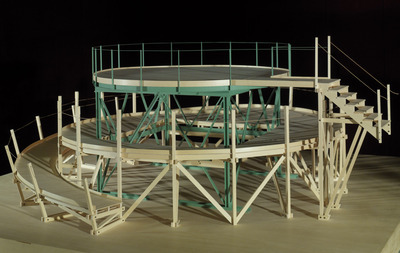 A stage design model is an exactly scaled, three-dimensional execution of a stage design or of its sketch. It serves as a working model for theatre workshops, supports one’s spatial understanding of the stage space to be designed and makes an essential contribution to communication between actors, stage designers and directors. 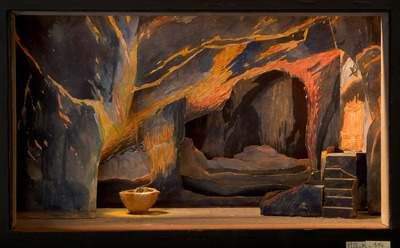 Although such models may be missing many factors of the actual theatre experience such as light and scene changes, shadows, movement and actor-audience interaction, they do allow one to discern things related to the role of space within stage production and get an impression of onstage stylistic developments stage and decorative trends, as well as to grasp the significance of the stage area in general. 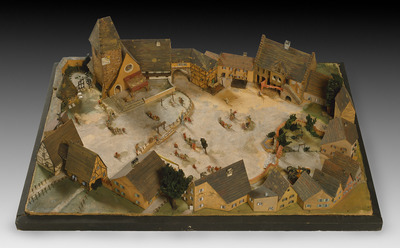 In light of the fact that such models were certainly not made to last forever, it is remarkable that the holdings of the Theatermuseum contain nearly 1,000 such items. 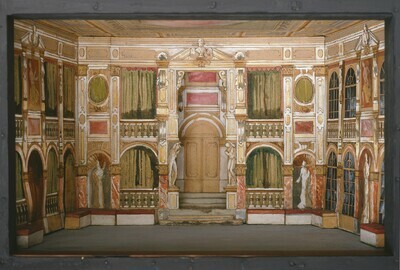 The stage scenery and architecture models of the collection show the development of the stage area and theatre construction between the 18th and 20th centuries. The basis of the collection is formed by four hundred models related to performances at the Hofburg Theatre between 1888 and 1910—an age during which new aesthetic programs and technical achievements such as electric stage lighting made necessary the re-conception of the stage space. Artefacts from this period are therefore of the greatest interest. 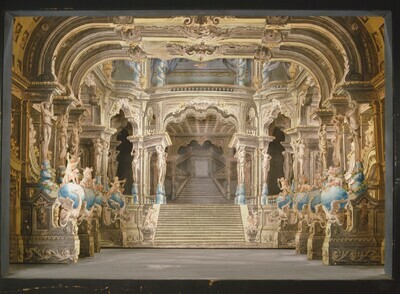 Of particular artistic value are the original models from the 18th century by Lorenzo Sacchetti and a variety of models from Russia’s revolutionary period, a group of works which was acquired on the occasion of the International Exhibition of New Theatre Technology in Vienna in 1924. Other important works include those of Austrian stage reformer Alfred Roller (1864–1935), who "cleared out" the stage according to the ideas of Adolphe Appia (1862–1928) and Edward Gordon Craig (1872–1966). Thanks to assiduously maintained contact with stage designers, theatres and other institutions, the collection has been expanded again and again over the course of over 60 years. Thus, it also affords visitors a look at theatrical works by Austrian and foreign artists of the 20th century. Notable figures include Remigius Geyling (1878–1974), Oskar Strnad (1879–1935), Clemens Holzmeister (1886–1983), Friedrich Kiesler (1890–1965), Fritz Wotruba (1907–1975), Lois Egg (1913–1999) and Wieland Wagner (1917–1966).